Arthritis is a disease that generally refers to joint pain or stiffness, and while it's pretty common it's not understood all that well. The Arthritis Foundation explains that arthritis isn't a single disease either -- there's more than 100 types of it and it affects people all ages, sexes, and races. In fact, the Arthritis Foundation says it's the leading cause of disability in America with more than 50 million adults and 300,000 children affected. 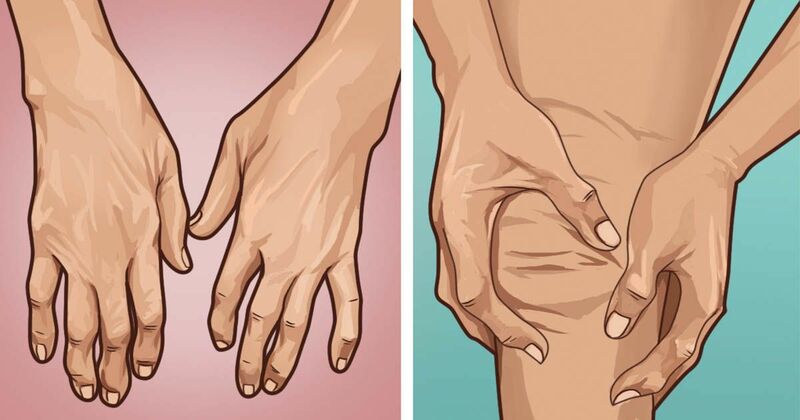 This is the most common type of arthritis, according to WebMD, and it has to do with the 'wear and tear" that happens to your joints over time. Usually this type of arthritis happens with age, but it's also been found in those with obesity because the weight puts extra stress on the joints. Osteoarthritis is most common in the knees, hips, feet, and spine. Rheumatoid Arthritis, also known as RA, is an autoimmune disease according to WebMD. RA attacks certain parts of the body, but especially the joints, which leads to inflammation and can cause severe damage to the joints if left untreated. RA usually affects multiple joints at once, and the symptoms can be gradual or appear suddenly. - Rheumatoid nodules. These form in about 1 in 5 people, and they usually form over joint areas that have a lot of pressure like knuckles, elbows, or heels. - Swelling in your hands, wrists, elbows, shoulders, knees, ankles, feet, jaw, and neck. - Nonsteroidal anti-inflammatory drugs (NSAIDs) are used to help ease arthritis pain and inflammation Arthritis Foundation. - Corticosteroid medications are quick-acting medications to reduce inflammation. - Disease-modifying antirheumatic drugs, or DMARDs, are drugs that work to modify the course of the disease. - Surgery is an option for people with RA whose mobility has been severely limited. You've probably heard of psoriasis before: the red, raised, and patchy skin condition that's inflamed and scaly. Well the Arthritis Foundation explains that about 30% of people have this skin condition first, and then develop psoriatic arthritis. PsA is actually an autoimmune disease that attacks the body's healthy tissue, and joints causing inflammation, joint pain, and stiffness. This can affect people of all ages. If you recognize any of these signs or symptoms it's important to schedule an appointment with your healthcare provider to determine if you have arthritis, and what to do next. You can also check out the Arthritis Foundation for a full list of the different kinds of arthritis, as well as their tools and resources page which goes into treatments, drugs, and tips for dealing with arthritis.